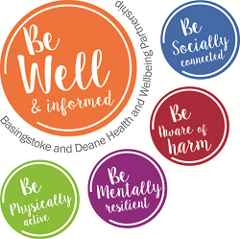 The Basingstoke and Deane Health and Wellbeing Partnership (HWP) comprises representatives from various local organisations seeking to improve health outcomes for our local residents. The HWP is a sub group of the Basingstoke Area Strategic Partnership (BASP). The Partnership's current plan: Our Shared Plan to Improve Health and Wellbeing in Basingstoke and Deane 2016-2020 is published on the BASP website at the link below. For more information about the work of the HWP, please visit the BASP website.